The Bricasti M7 is a highly prized true stereo reverb processor, widely considered to contain some of the best synthetic reverb algorithms to date. 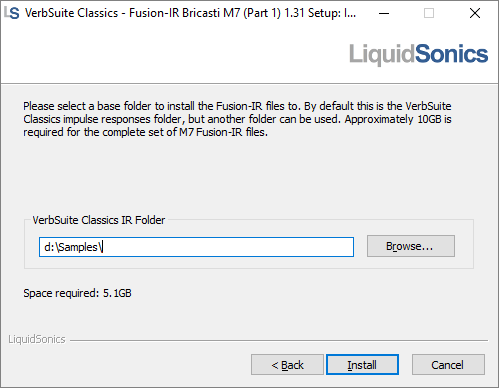 The free Bricasti M7 Fusion-IR Expansion Pack for Slate Digital’s VerbSuite Classics provides access to a spectacular selection of reverbs taken from this unit using LiquidSonics’ public domain Bricasti M7 Fusion-IRs. Please ensure you have downloaded and installed Slate Digital’s VerbSuite Classics before attempting to install the expansion pack. You may choose to download from any of the servers provided, the content is the same. Download and run the installer above. You may wish to manually move the contents of the Bricasti M7 FIR8-96k folder to another drive to save space on your main disk. Please refer to the VerbSuite Classics manual for information on how to tell the plug-in where the files reside after moving them with Finder. Download both installers and then run one after the other. 1a. On Windows installing to a different disk location than is the default will write a registry key so that VerbSuite Classics knows where to look for third party library files. Moving these files after installation will require consultation of the VerbSuite Classics manual to specify where the files have been moved to. 1b. On Mac, if installing to the default location VerbSuite Classics knows where to look for third party libraries. Moving them to a non-standard location requires manually specifying the location, see the VerbSuite Classics manual for details. 2. Due to the compression formats available for Mac installers the macOS file (4 GB) is larger than the sum of PC installers (2.3 GB in total). They both contain the same files and will consume approximately 10 GB after decompression. 3. 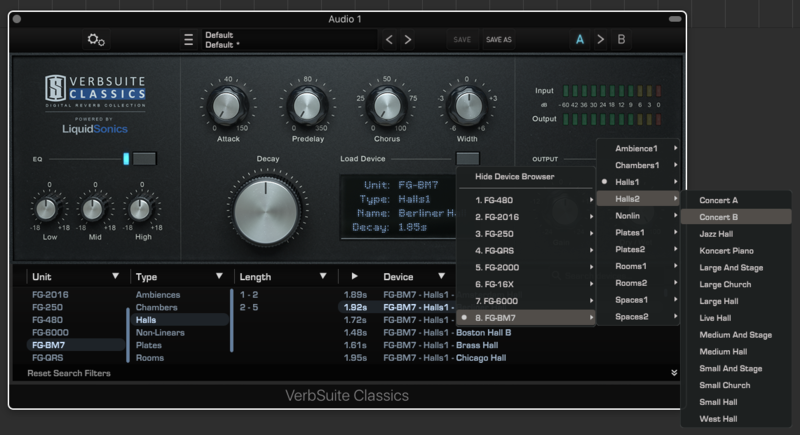 If you wish to use Reverberate 2 and VerbSuite Classics with the same set of M7 Fusion-IR files it is recommended to run both VerbSuite Classics’ and Reverberate 2’s Fusion-IR installers so that the presets are fully integrated. 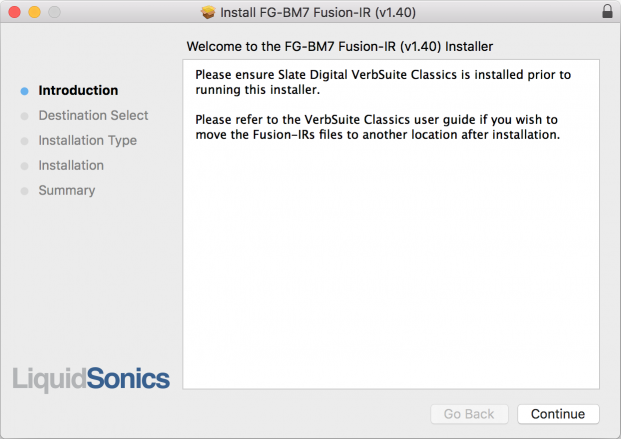 Next redirect Reverberate 2 to use the VerbSuite Classics installation of the Fusion-IR files (the location of which is made clear during installion). See the Reverberate 2 manual for details on setting a recursive path search to do this. When this is done, it is safe to delete the folders with the FIR files in them (those suffixed with FIR8-96k), but do not delete the banks folders (containing TFX or FXB files). 4. All Fusion-IR files for VerbSuite Classics are provided at 96 kHz and resampled automatically to your DAW’s sample rate. Once the files have been installed the Bricasti M7 model files can be accessed via the browser or the Load Device button under the FG-BM7 category.